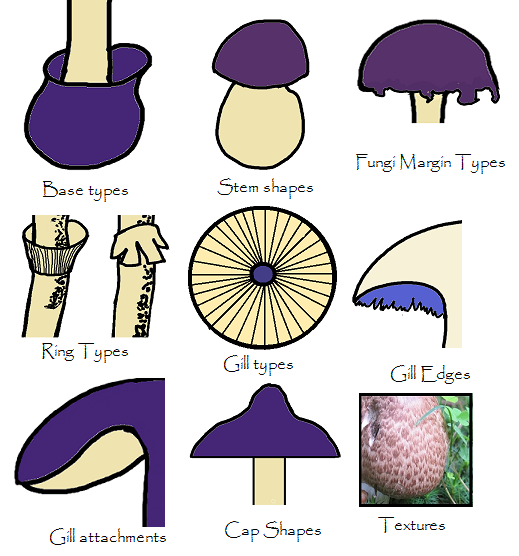 Fungus Cap: To 50mm, irregularly subglobus, slimy, very pale lilac with rust blotches where bruised and inside the stem. 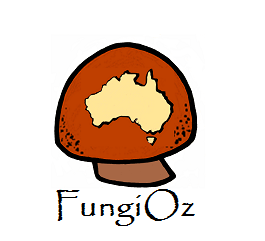 Fungus Gills: Intense violet, fragile, undulating to crinkled, with lamellinae, adnate to adnexed, colour fades to become yellowish brown. 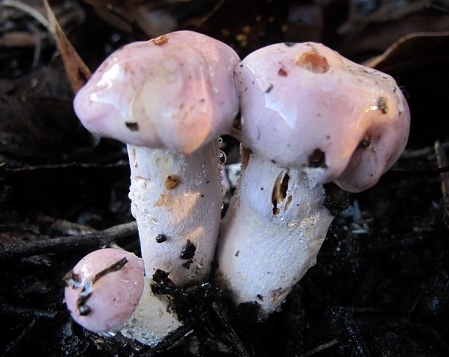 Fungus Stem: White and slimy, almost fused at base. Found: In small groups on path edges of eucalypt forest in Forrest, Otway Ranges, Australia.